Will go on sale in Europe in Q4 2016. 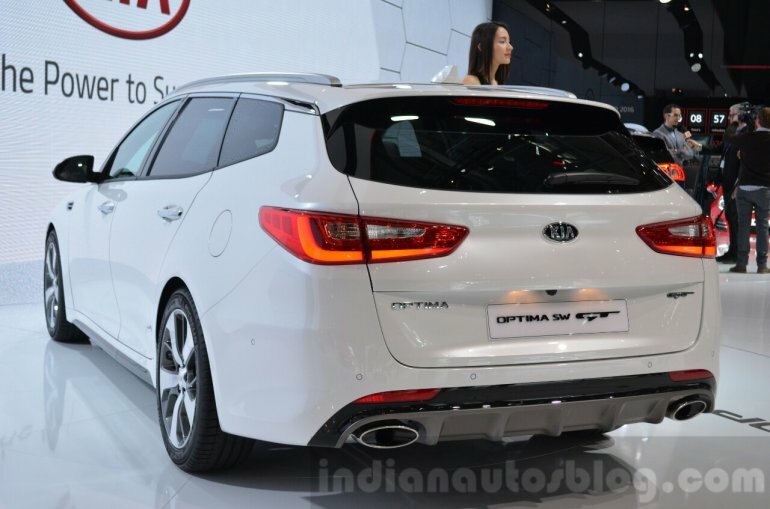 The Kia Optima Sportswagon, the estate version of the fourth generation Kia Optima saloon, is Kia's first-ever D-segment estate. The design, needless to say, is inspired by the Kia SPORTSPACE Concept that was unveiled at the 2015 Geneva Motor Show. The exterior is almost the same as the saloon version, save for the structural changes, and the rear-end which features tail lamps similar to those on the SPORTSPACE Concept. 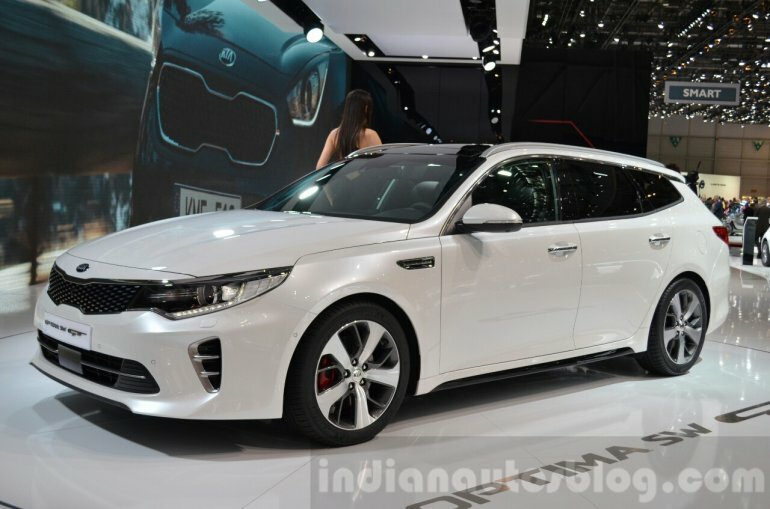 The Kia Optima Sportswagon measures the same as its saloon version in length (4,855 mm) and width (1,860 mm), but stands 5 mm taller (at 1,470 mm) to attain the bigger boot. The boot capacity has increased from 505 litres of the saloon version to 553 litres. The load space with rear seats folded is yet to be announced. 40:20:40 split-folding rear seats are fitted as standard. Interior colour choices include single-tone black scheme and two-tone dark grey with light grey theme in cloth or leather trim. The console features gloss black and chrome finish. 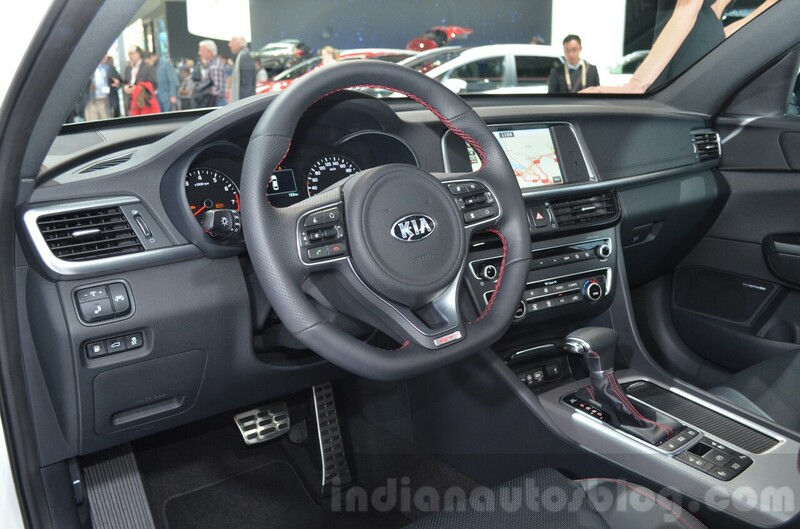 Technology features include 7.0- or 8.0-inch touchscreen infotainment system, satellite navigation, Android Auto and Apple CarPlay smartphone integration compatibility for the infotainment system, wireless charging and Smart Parking Assist System. Three engines will be offered: a 2.0-litre CVVL naturally aspirated four-cylinder petrol unit producing 163 PS (120 kW) and 196 Nm (145 lb.-ft.) of torque, mated to a 6-speed manual/automatic transmission. For better performance, there's a 2.0-litre T-GDI turbocharged four-cylinder unit that develops 245 PS (180 kW) and 353 Nm (260 lb.-ft.) of torque, and is mated to a 6-speed manual/7-speed dual-clutch transmission. The third engine is a 1.7-litre CRDi turbocharged four-cylinder unit good for 141 PS (104 kW) and 340 Nm (251 lb.-ft.) of torque. The diesel engine will be available with a 6-speed automatic transmission. 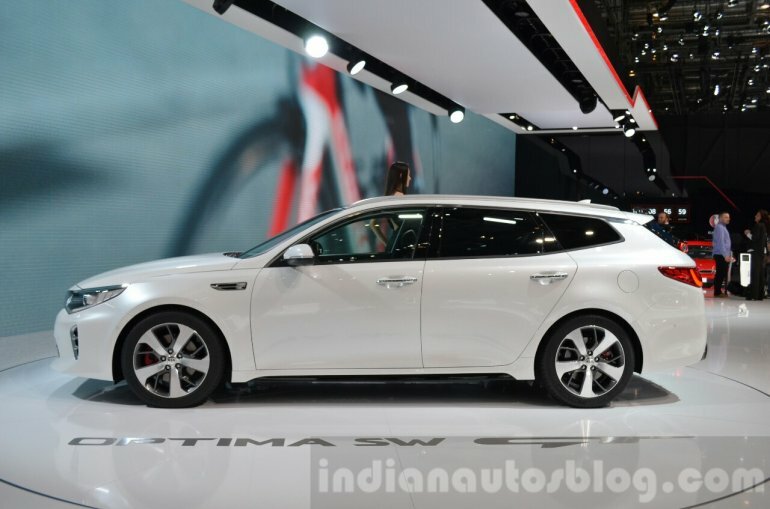 The Kia Optima Sportswagon will go on sale in Europe in Q4 2016.